We offer a free interview appointment. Come See Us! 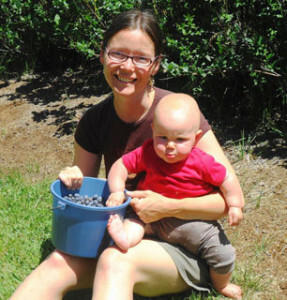 I began going to births as an apprentice in 1993 here in Nevada County. Since then I have attended over 650 births. Each of those births has been a profound experience, a joy, a life coming forth. It is always an honor for me to attend women and their growing family. I believe strongly in women. I believe strongly in birth. I graduated from U.C. Davis with a degree in History and Women’s Studies. It is through Women’s Studies that I discovered the art of Midwifery. After graduating, I began my apprenticeship with Alison Osborn, attending prenatal visits, births, and postpartum visits with her. In 1995 I had my daughter, Iris, at home and in 1996 Skyla was born at home. 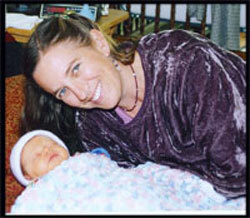 In 1999 I completed training through an internship in a busy birth clinic in El Paso, Texas. I received my license from the Medical Board of California in 2001. I am a member of the California Association of Midwives and serve on their Board of Directors as a regional representative. I am always furthering my education through annual continuing education courses. My vast experience with many different women and families has been most educational and is used in my practice continuously. I have deep gratitude for my role as midwife in our community and feel blessed to do this work. 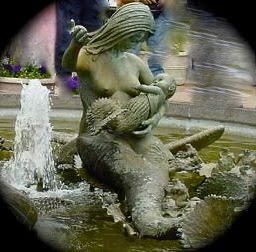 Having served families for over 18 years, I continue to love the art of midwifery. I deeply believe in the normalcy of pregnancy and birth; as well as the intrinsic health and knowledge of each pregnant woman’s body to bring forth a child. I have been attending births for 20 years and Licensed since 2007. 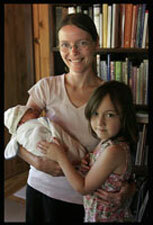 My birth experience includes over 500 births as well as a myriad of prenatal and postpartum visits. I hope to bring kindness, patience, compassion, faith and a bit of humor to my practice. I’ve worked with many people from all walks of life. The way I practice has been shaped by our clients as I have learned so much from the families I have worked with. It’s so wonderful to be a part of our growing community. It’s a joy to bump into clients and their children at the store, the river, an event or just on the sidewalk in Nevada City. With such a love for home birth in this area it is a special place to work. Thank you. We serve a vast area including: Grass Valley, Colfax, Auburn, Downieville, Truckee, Marysville, Roseville, Chico, and other Nevada, Placer, Butte, Yuba, Sierra, El Dorado and Yolo County communities. Contact us for a free appointment today!